Syndicate bank is one of the oldest and major commercial banks of India. In the early days of its establishment, it was known as Canara Industrial and Banking Syndicate Limited. The bank was nationalized in 1969 by the Government of India along with 13 other major commercial banks of India. It is well-equipped bank to meet the requirements of every individual with its 1348 branches spread across the country. It is headquartered in the town of Manipal, India. Education is the one indispensable tool that not only helps individuals to figure out their way in the world but also provides a lot more than just worldly augmentation. The demands of today's education are different from that of the past; it requires ample resources to receive quality education. The government of India along with RBI has introduced education loans with flexible interest rates to combat such extended financial needs and allow the students to achieve their dreams of higher education. Syndicate Bank helps students to achieve their dreams of higher education by taking care of each and every expense related to the courses & also offers financial help to needy and meritorious candidates to further their dream of higher studies in India or abroad. This scheme helps students who have secured admissions to a higher education course in recognized institutions in India or abroad through merit based selection process or entrance test to finance their education. Upto Rs. 10 lacs is offered as an Best education loan to students pursuing higher education in India and upto Rs. 20 lacs is offered to students who are going to pursue higher education abroad. This scheme aims at providing help to exceptionally deserving and meritorious students who have secured admissions in reputed Indian institutions like IITs, IIMs, NIT etc. to complete their graduation and post-graduation courses. A loan amount of upto Rs. 20 lakhs is given to students to pursue their education. For students who have secured admission for abroad studies through merit based selection process/ entrance test are eligible to apply for loans under this scheme. The quantum of loan offered to the needy students under this scheme is Rs. 20 lakhs to upto Rs. 2 crores. Any candidate who has secured admission in 3 months to 2 years courses provided by ITIs, Polytechnics or other such courses approved by NSDC (National Skill Development Corporation) or NSQF (National Skill Qualification Framework) can avail financial help from this scheme. A candidate who has secured admission in vocational training courses which is employment oriented and is recognized by State/Central Government institution can apply for a loan from Syndicate Bank under this scheme. The maximum tenure offered by the bank is of 15 years. The loan tenure, however, depends on the factors such as the age of the applicant, his/ her academic background, repayment capacity, future scope of the course, etc. The interest will start getting accrued immediately after the disbursement of the first loan installment. The monthly loan repayment amount will be deducted from the candidate's/co-applicants’ bank account using ECS (Electronic Clearing System) or the applicant can pay using Auto-debit or through monthly post-dated cheques. Syndicate Bank Education Loan eligibility and Syndicate Bank Education Loan interest rates can easily be evaluated through and seen on Afinoz. If there is any query about Syndicate Bank Education Loan application, you can log on to afinoz.com or give us a call at +919899889816 or mail us at info@afinoz.com and get all the solutions at one go. Rs. Upto 2 lacs Base rate + 2.5% p.a. Query: Does Syndicate Bank offer any incentive to girl students? Reply: Syndicate Bank provides a concession of 0.5% to the girl candidates who are planning to pursue higher studies in India or abroad. Query: Does Syndicate Bank offer an education loan to NRIs? Reply: Syndicate Bank can accept a request for an education loan from the individuals who holds a valid Indian passport and meets all the eligibility criteria and requirements for an education loan. Although the candidate will be required to provide tangible collateral of a good market value and is enforceable in India. Query: What is the mode of repayment of the education loan for an Indian student? Reply: You can either repay your loan through ECS (Electronic Clearing System) or Auto Debit or through monthly post-dated cheques. Query: Will I get a moratorium period for an education loan from Syndicate Bank? Query: Isthe moratorium period of Syndicate Bank education loan available for all courses? Reply: The moratorium period is available only for the selected courses and is wholly at the discretion of the bank. Query: Do I need a co-applicant for an education loan from Syndicate Bank? Reply: You will be asked to provide a co-applicant if the loan amount you are applying for is greater than Rs. 4 lakhs. Query: What is the eligibility requirement for availing an education loan for studies abroad with respect to Diploma or PG courses? Reply: The candidate should have secured admission to a reputed and recognized institution to pursue a degree/ diploma course for availing an education loan from Syndicate Bank. 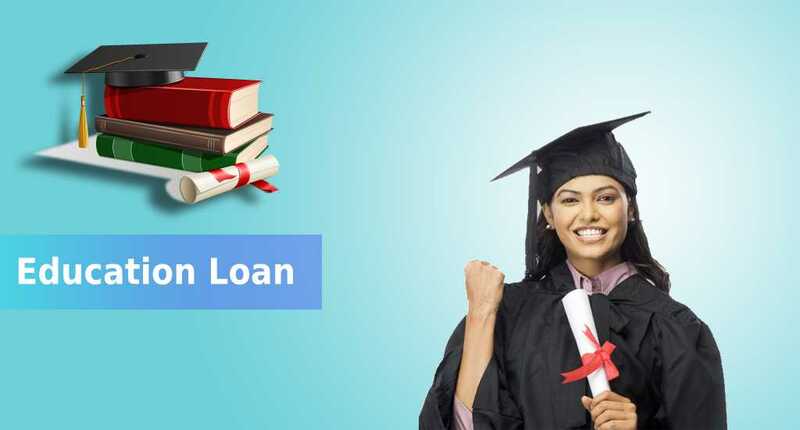 For any query about Syndicate Bank Education Loan application, you can log on to afinoz.com or give us a call at +919899889816 or mail us at info@afinoz.com.